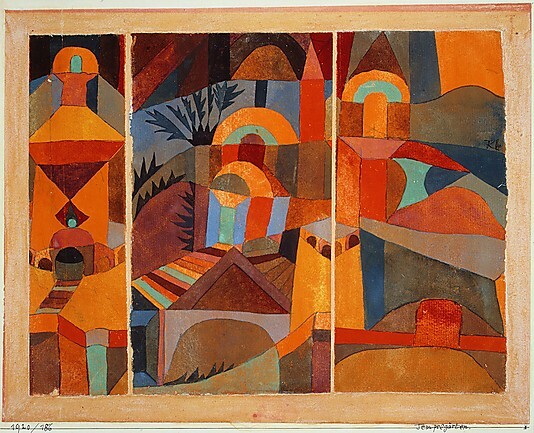 "Temple Gardens" appears to recall Klee's impressions from his visit to Tunisia with Macke in April 1914. 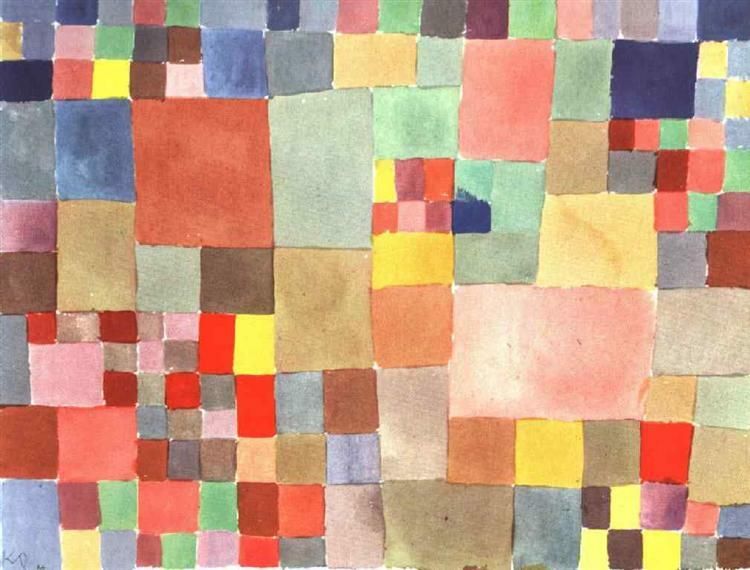 The watercolor has the brilliance of a stained-glass window on a sunny day. 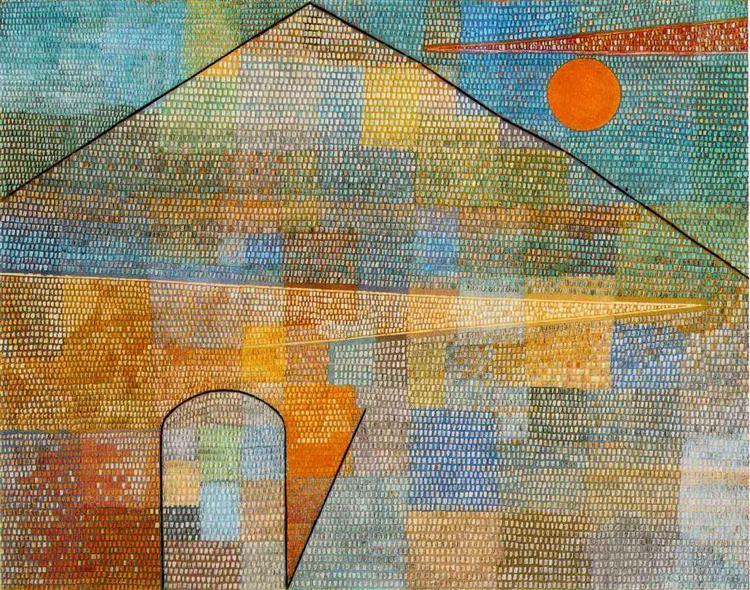 Stairways lead to the doors of various garden pavilions, palm trees peek over sections of high walls, and domed towers are here and there. 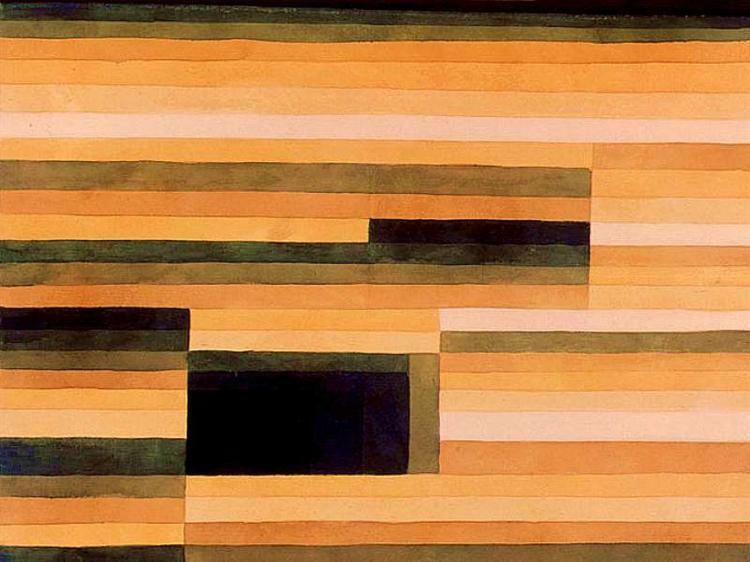 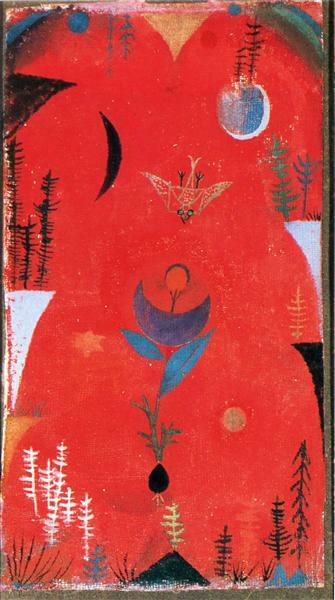 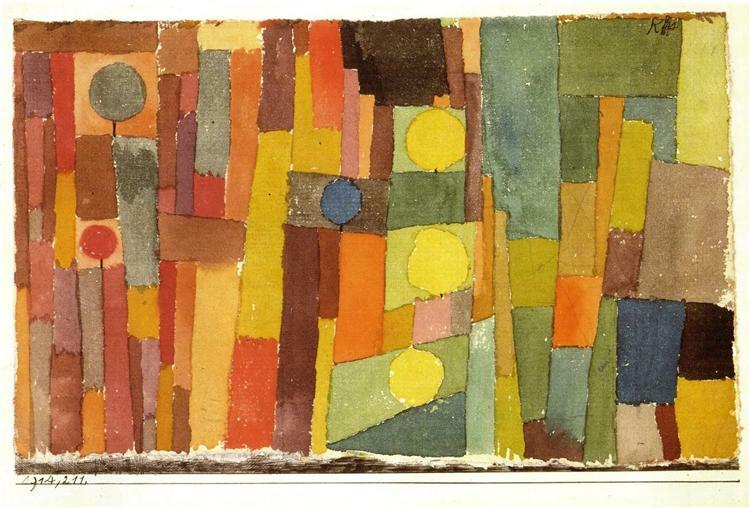 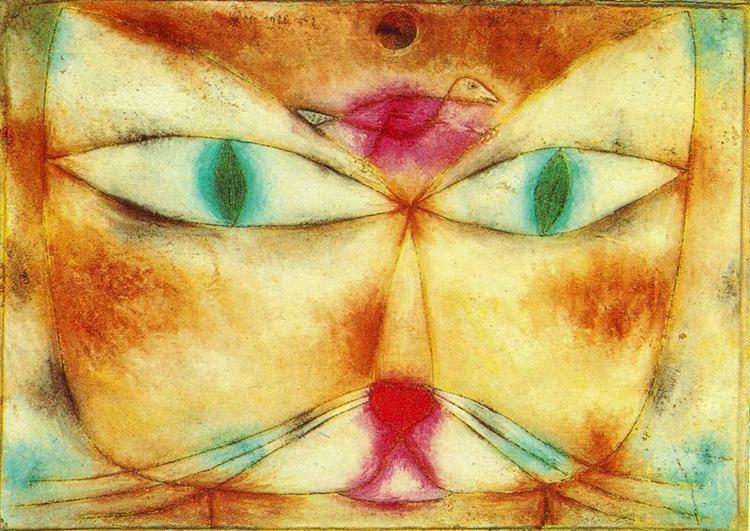 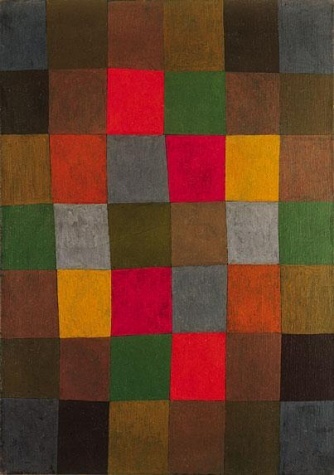 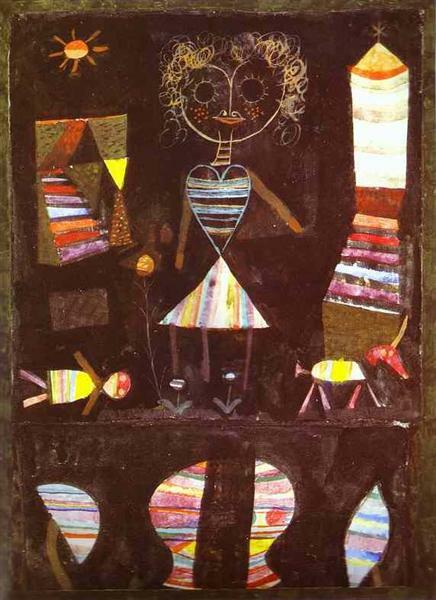 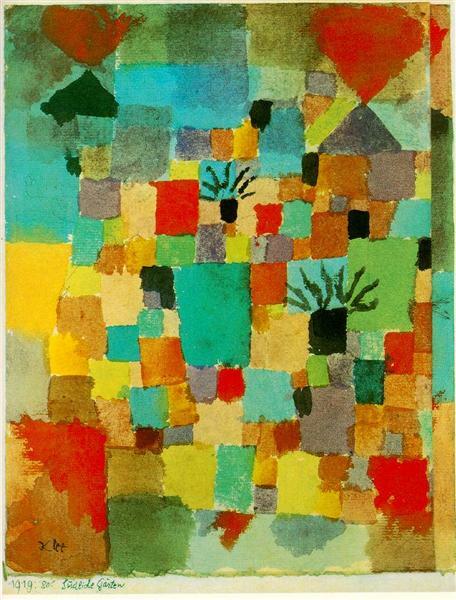 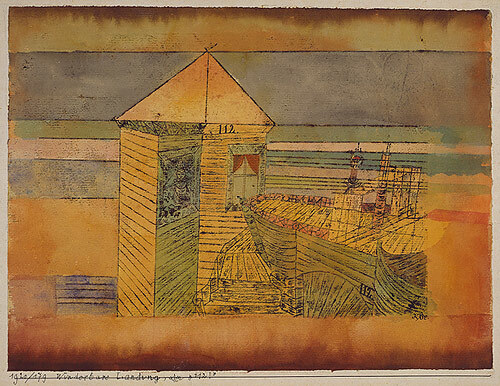 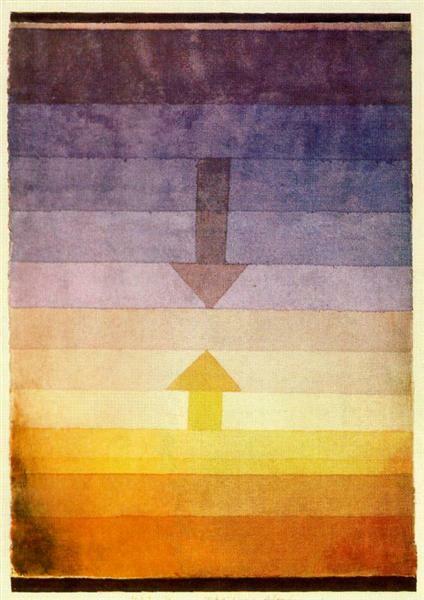 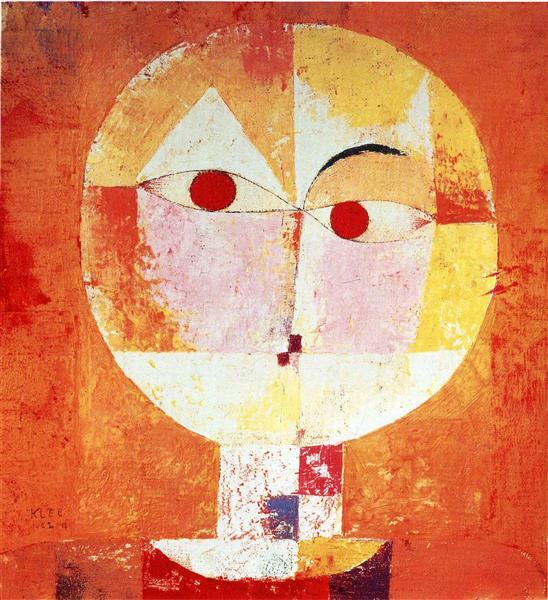 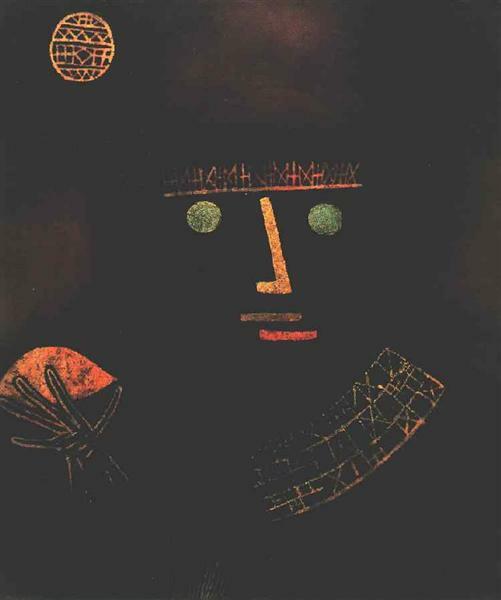 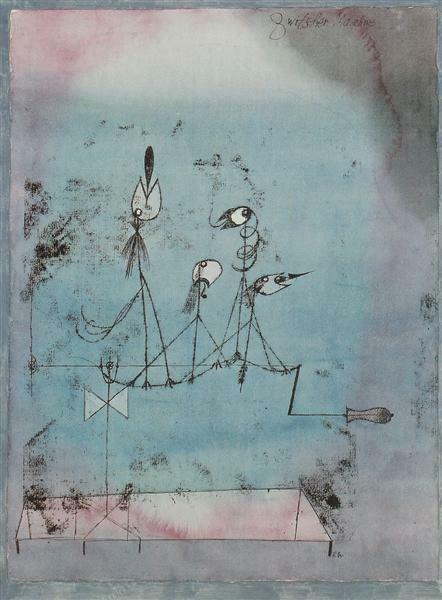 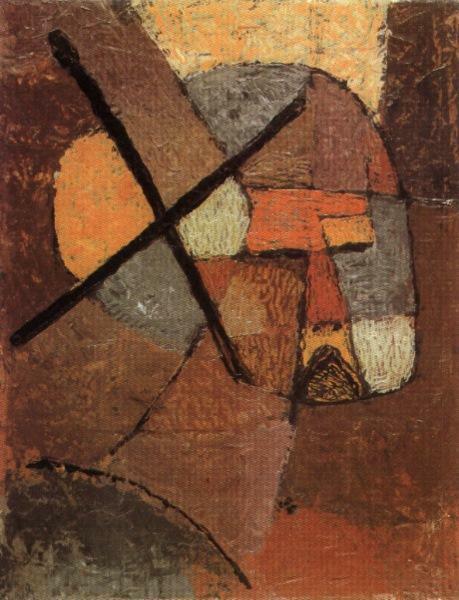 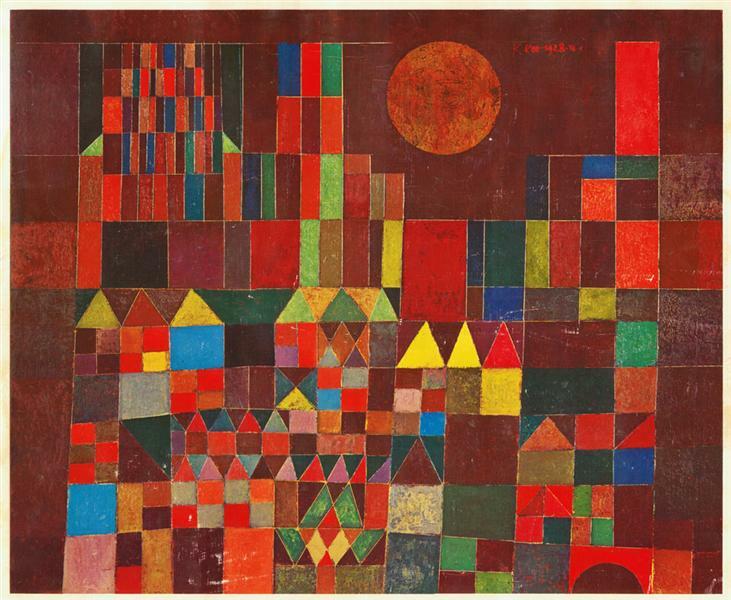 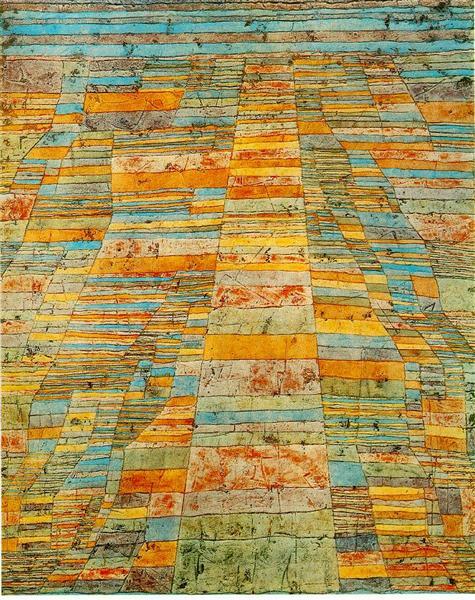 Klee sometimes liked to rearrange his compositions with scissors. 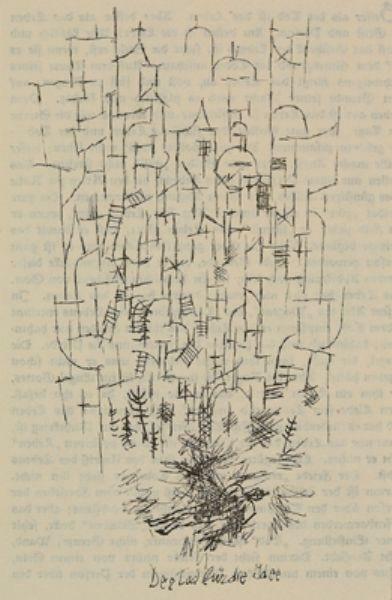 Perhaps in this instance, he thought the work looked too symmetrical and therefore cut it into three sections and moved the center one to the left. 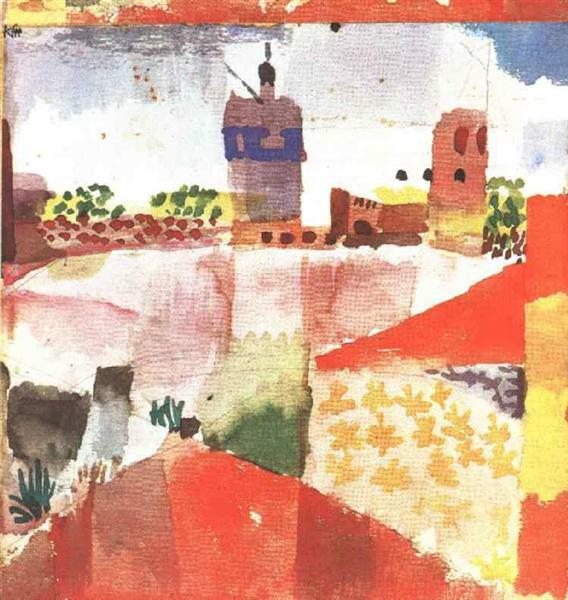 Now the site depicted in "Temple Gardens," which earlier was only pleasantly full of the "angles and corners" he had admired in Kairouan, has become truly labyrinthine.